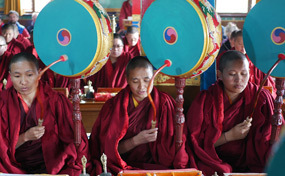 The annual 9-day long Mending and Purification practice has ended today in Nagi Gompa. Wishing you all a very Happy New Year 2019, a sharp mind and a warm heart! 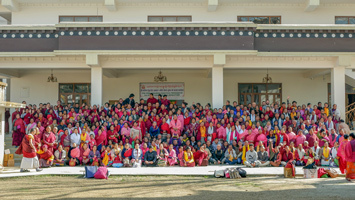 More than 450 people participated in this year’s month-long Ngöndro (Preliminaries) Practice Retreat at Ka-Nying Shedrub Ling Monastery, which ended today. 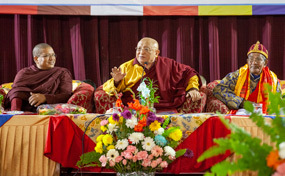 Today Chokyi Nyima Rinpoche was invited by the Bauddha Bihar Sangha Lalitpur to talk about the Three Yanas (Three Vehicles of Buddhism). 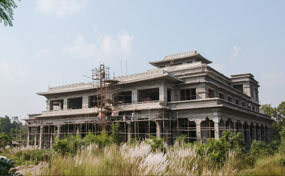 Chokyi Nyima Rinpoche inaugurated the new RYI restaurant and all seminar participants were invited over for lunch. 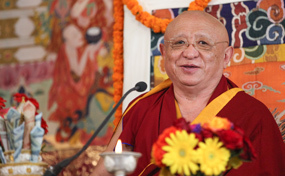 Chokyi Nyima Rinpoche will offer the annual Fall Seminar based on Naturally Liberating Whatever You Meet by Khenpo Gangshar at Ka-Nying Shedrub Ling Monastery, Kathmandu, and has kindly agreed to make all 7 days of teachings also available online. 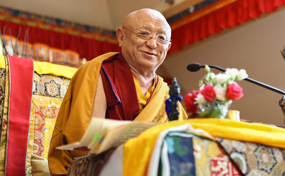 Today Chokyi Nyima Rinpoche offered reading transmissions on two important texts by Ju Mipham Rinpoche and HH Dudjom Rinpoche to an assembly of monks and nuns as well as lay practitioners. 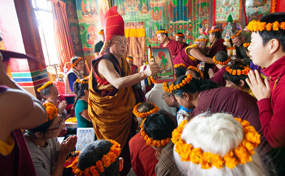 The week long Tara's Triple Excellence retreat at Asura Cave has concluded yesterday. 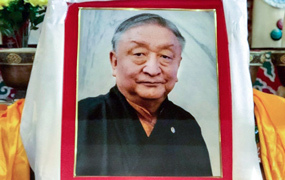 We are deeply saddened by the recent passing of Lodi Gyari Rinpoche. 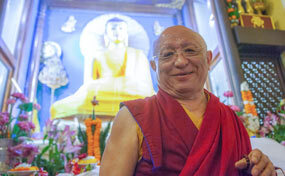 Chokyi Nyima Rinpoche in Bodhgaya on his annual trip teaching students from the Carlton College (formerly Antioch) Program. Today, on this special full moon day, Rinpoche was very happy to see this extraordinary beautiful and very solid Buddha statue that is now in front of the Mahabodhi stupa. Please rejoice!